Our wilderness hotel and resort is the relaxing and serene getaway you deserve. Imagine waking up with the natural light of the sunrise with the calm water lapping against the shoreline. You deserve the opportunity to experience this extremely rare and beautiful part of the world. 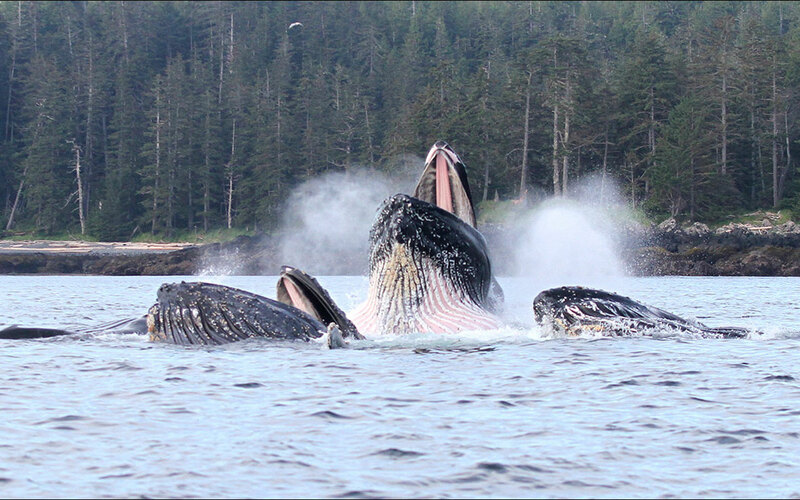 Immerse yourself with everything that Haida Gwaii has to offer. 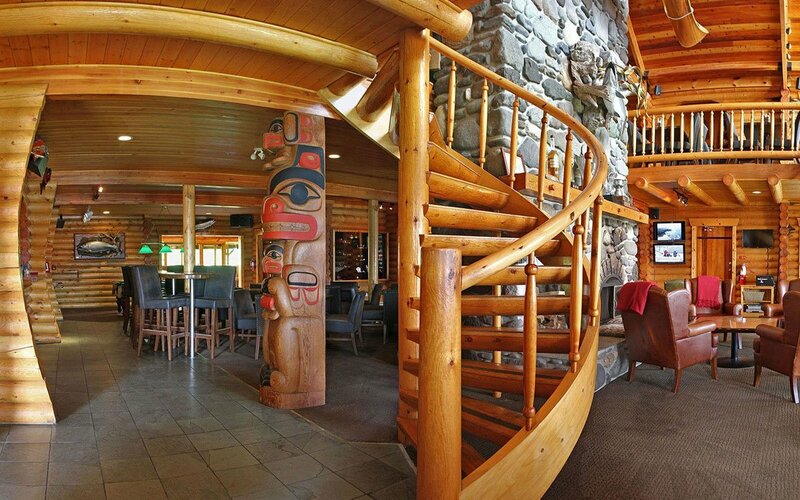 Queen Charlotte Lodge is the answer to your wilderness hotel and resort dream. Our wilderness hotel and resort offers all of the modern comforts you are accustomed to while providing memories that will last a lifetime. Book Your Wilderness Hotel and Resort Today! QCL’s wilderness hotel and resort offers more than just fishing! 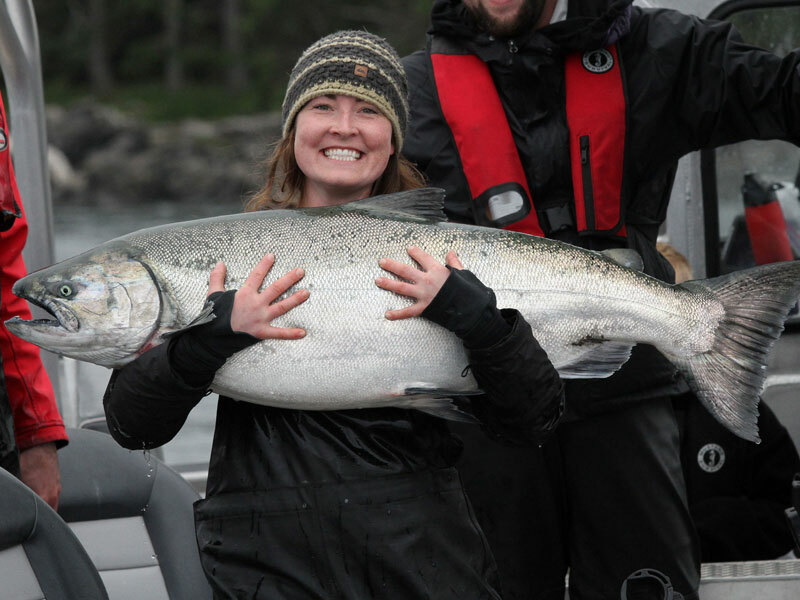 While the fishing here is amazing, there are plenty of options for you to enjoy. 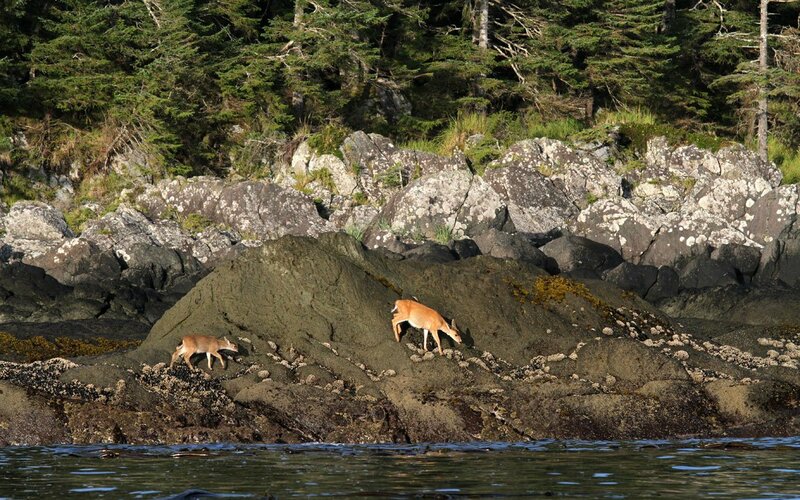 Nestled within Naden Harbour along the north coast of Haida Gwaii, the opportunities to view wildlife are one of a kind. 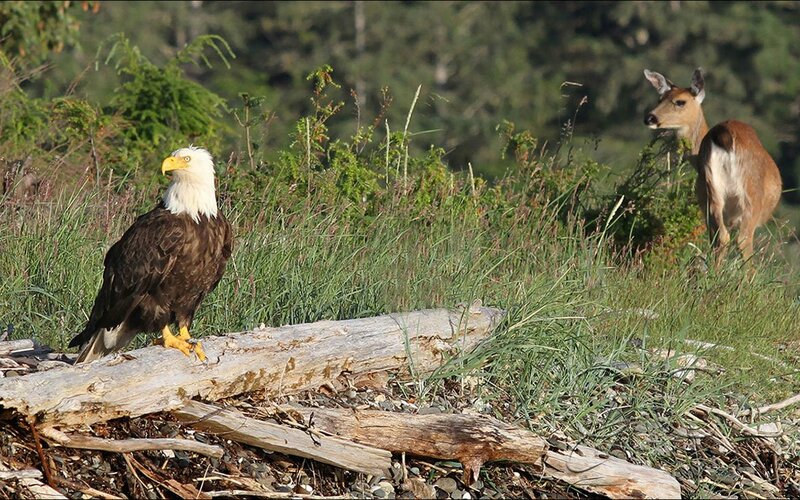 Whether from a boat, a kayak or from shore, the wildlife at Queen Charlotte Lodge never ceases to amaze. If hiking or photography are your passion, there are ample opportunities for you to capture that perfect shot or explore the nearby trails. There is no shortage of activities when you stay at QCL’s wilderness hotel and resort. If you are not up for a full day of fishing, our helpful staff can recommend a variety of ways for you to enjoy yourself. 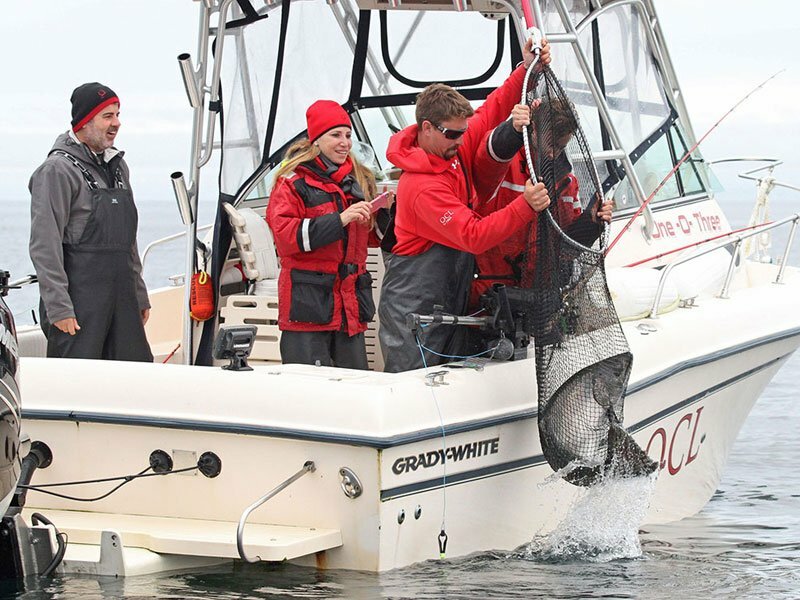 Haida Gwaii is rich in culture and history and visits to local Haida sites can be arranged. For those looking to unwind, our spa comes highly recommended. Whether you need a massage for tense muscles, a soothing full body relaxation massage, hand repair, back treatments, or facials, we have professional treatments for all, both men and women. Please keep in mind that our spa is very popular with each of our guests. We recommend that you book your appointment well in advance. You can reserve your spa treatment in advance by calling us toll-free at 1-800-688-8959. Escape to A Wilderness Hotel and Resort! Queen Charlotte Lodge’s wilderness hotel and resort is an unforgettable experience. After an adventurous day on the water, there is no better place to go than the Bell Ringer. Drinks, music, delicious cooking, and a place for you to share your fishing stories. 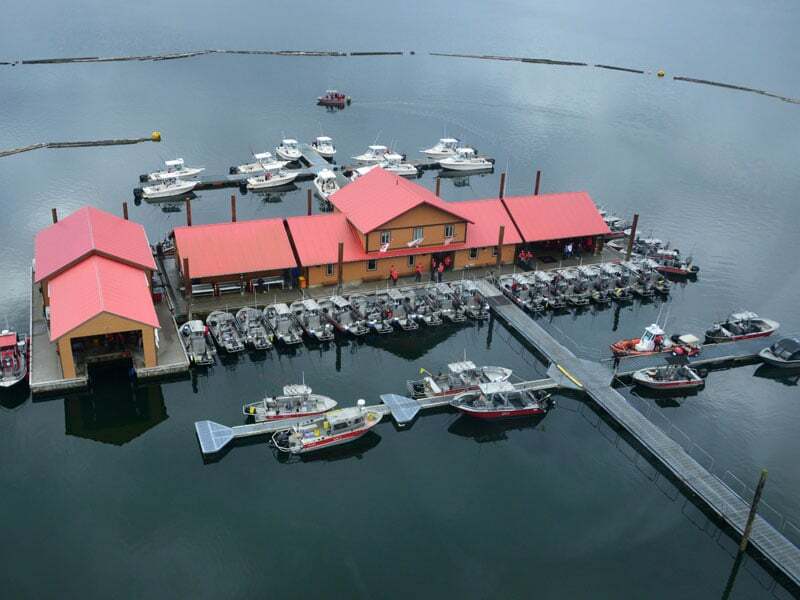 From start to finish, our staff ensures that you have a stress-free experience while taking in the beauty that Haida Gwaii has to offer. Blessed with an incredible wealth of nature and culture, these islands offer our guests a relaxing experience spiced with adventure and beauty. QCL is truly the best wilderness hotel and resort. QCL’s Luxury Wilderness Hotel and Resort Is Awaiting You! Tell us how we can help you escape to a luxurious Wilderness Hotel and Resort! More info for those who prefer the freedom of fishing on their own. 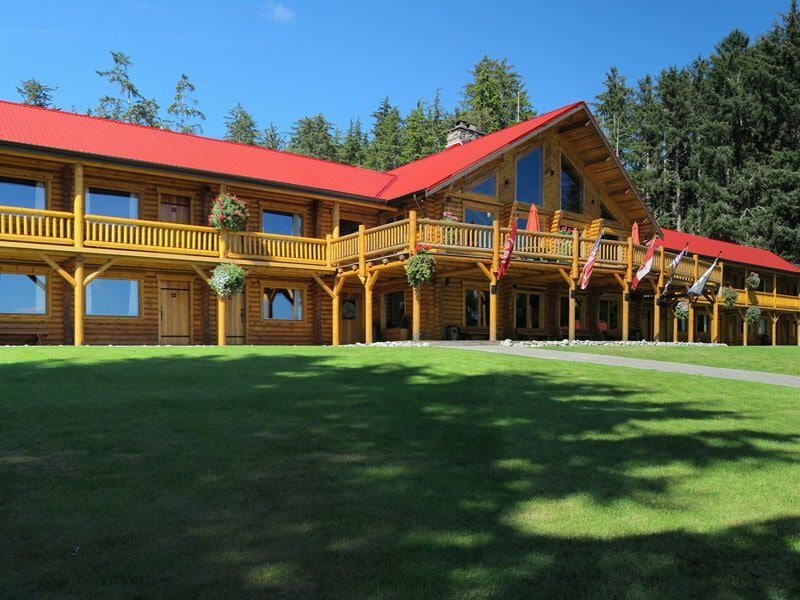 Everything you need to know about getting up to the lodge for your Fishing Getaway. 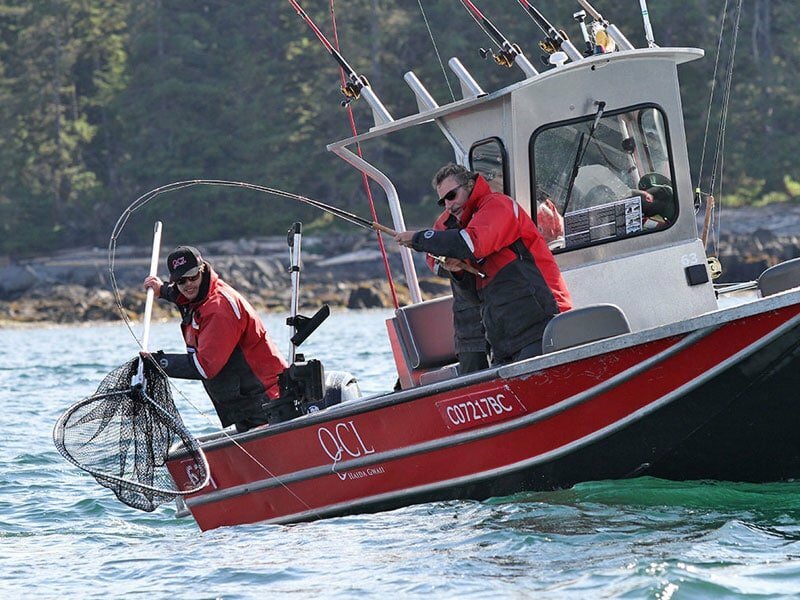 We have plenty of options available to meet your groups’ fishing needs. 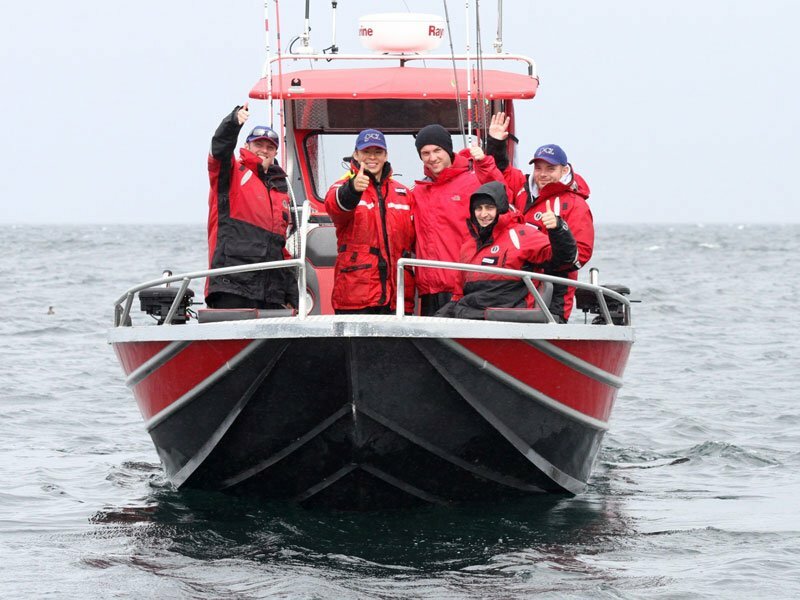 Let one of our expert guides help make your fishing experience memorable! 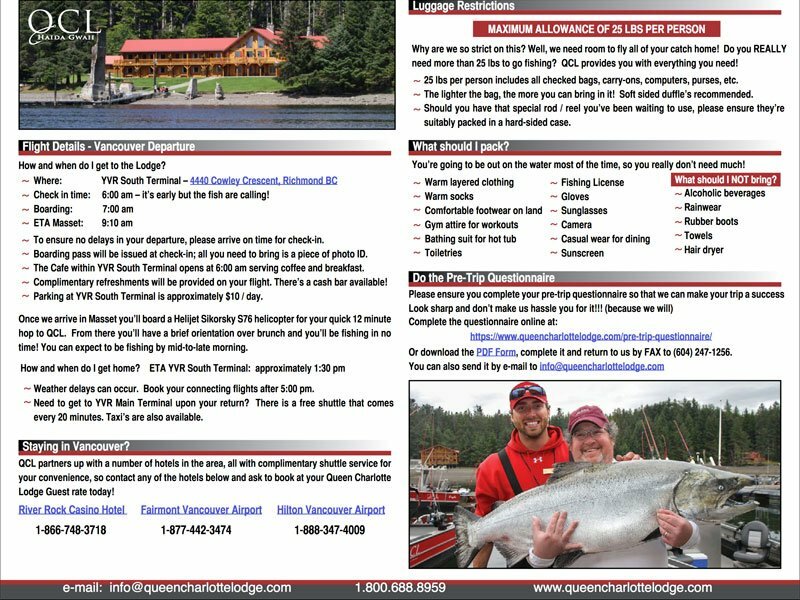 Answers to everything you’re wondering about your upcoming fishing trip to QCL. 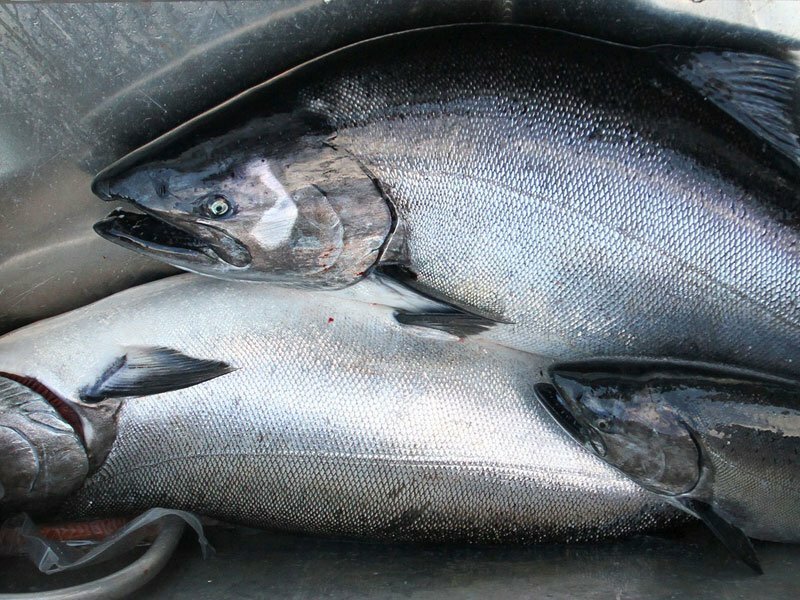 Learn about the different species of fish that you’re likely to catch during your trip. Information on our upcoming season, trip dates & package rate options. Nothing but absolutely amazing things to say, from the moment you get there till the moment you leave you will have a smile on your face. The staff are all outstanding, the food is great and the atmosphere is top notch. There is nothing negative to say about this place.